This program has been approved for 53 hours of continuing education credit in jurisdictions that recognize RACE approval, with 14.5 hours available to an individual attendee. Dan is Professor of Emergency and Critical Care Medicine and Clinical Nutrition at the Royal Veterinary College. He received his DVM from Cornell University in 1998 and then completed a small animal internship at Animal Medical Center in New York City. This was followed by a dual residency in Emergency and Critical Care and Clinical Nutrition at the Cummings School of Veterinary Medicine at Tufts University. He joined the faculty at the Royal Veterinary College in London in 2005 and in 2018, Dan became the Interim Head of Department for Clinical Science and Services after being the Medical Director of the Queen Mother Hospital for Animals since 2016. He is also the Editor-in-Chief of the Journal of Veterinary Emergency and Critical Care. Dr. Willard is a 1975 graduate of the Texas A&M University, College of Veterinary Medicine. He did his internship and Masters degree at Kansas State University and his internal medicine residency at Michigan State University. After that, Dr. Willard held faculty appointments at Michigan State University, Mississippi State University, and Texas A&M University. He is currently Senior Professor and Professor Emeritus of Small Animal Clinical Sciences and specializes in gastroenterology, hepatology, pancreatology and endoscopy (flexible and rigid). Dr. Willard has extensive experience with protein-losing enteropathies and gastrointestinal problems of racing Alaskan sled dogs. He is an Associate Editor for the Journal of Veterinary Internal Medicine. Dr. Willard has given over 3,500 hours of invited post-graduate continuing education lectures (nationally and internationally), has over 80 refereed publications, and has over 150 book chapters in print. Over the 19 years in practice, Ken has discovered and refined his role as a veterinary technician by promoting compassionate and progressive care for the patients and their family. 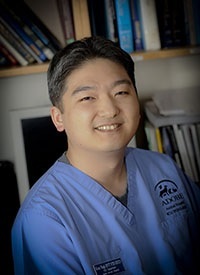 He obtained his VTS certification in emergency and critical care as well as small animal internal medicine and obtained his master's degree in Veterinary Science. He is currently the ICU Manager and Blood Bank Manager at Adobe Animal Hospital, and is the Program Director for the RECOVER CPR Initiative. Ken has co-edited the Manual of Veterinary Transfusion Medicine and Blood Banking and has published over 25 text chapters and articles in publications such as the Veterinary Team Brief and Today’s Veterinary Nurse. He speaks internationally and has given over 800 presentations.